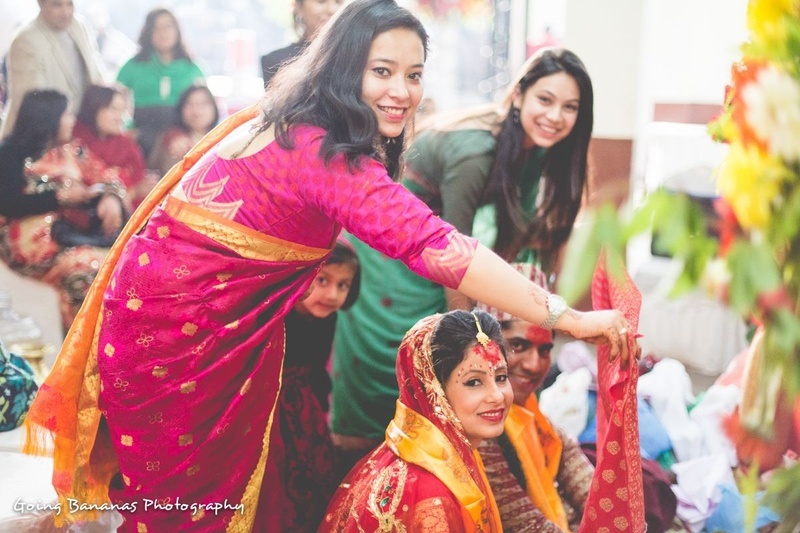 Barsha and Ajitesh’s union showed us that every wedding ceremony is authentic and beautiful in its own way. 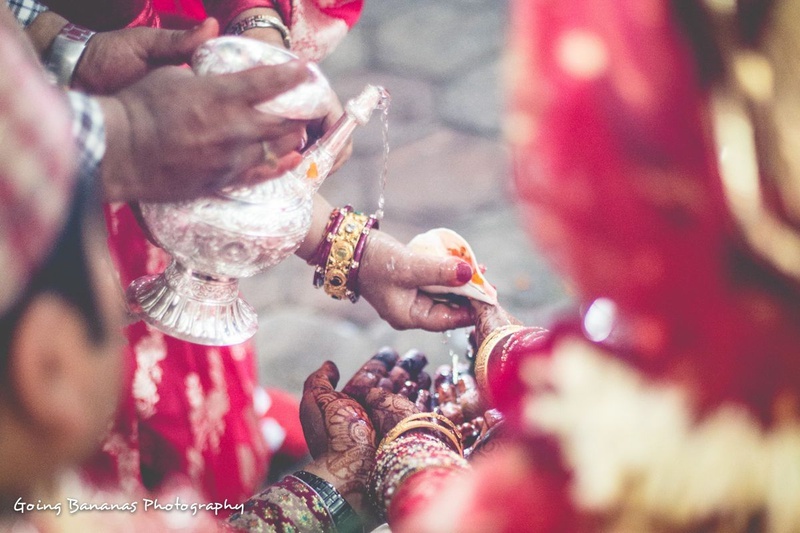 The joining of two souls as one is an enchanting concept for every culture. 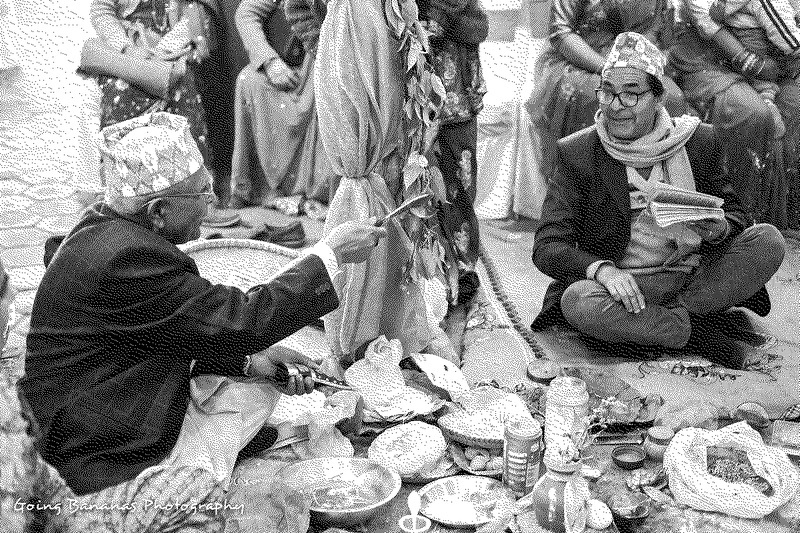 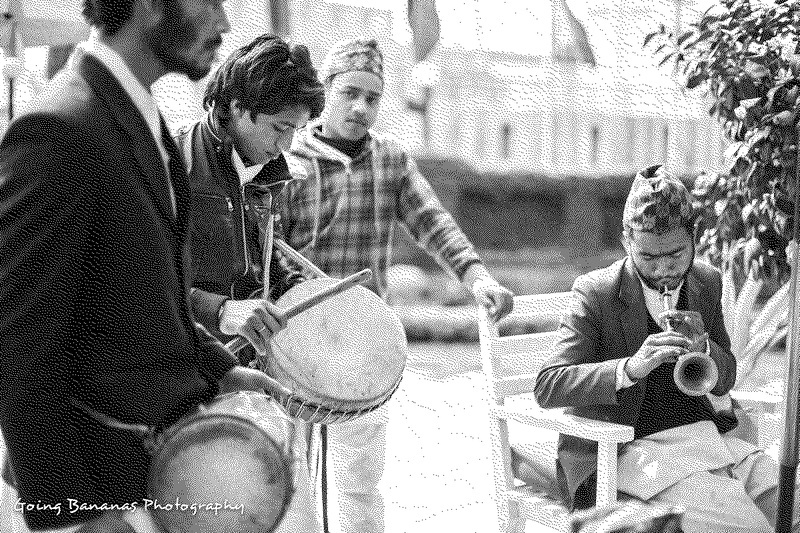 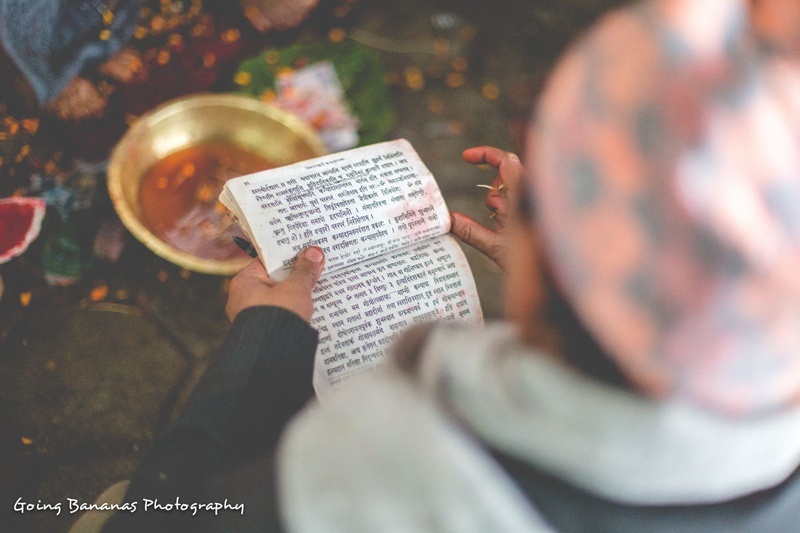 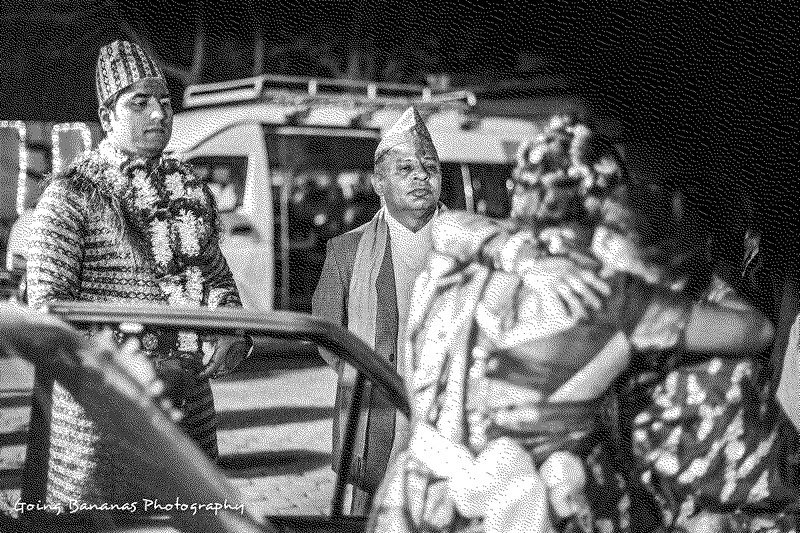 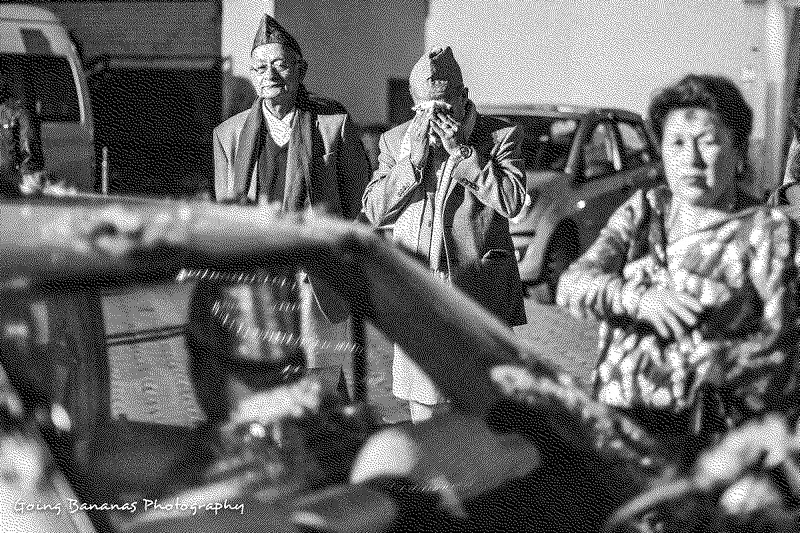 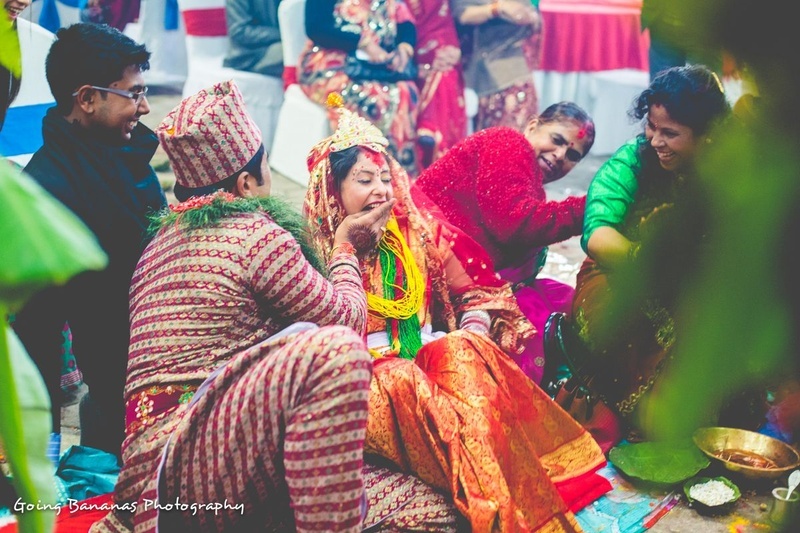 The festivities of this traditional nepali wedding celebration kick started with the Janti (also called the Baryatra), or wedding procession. 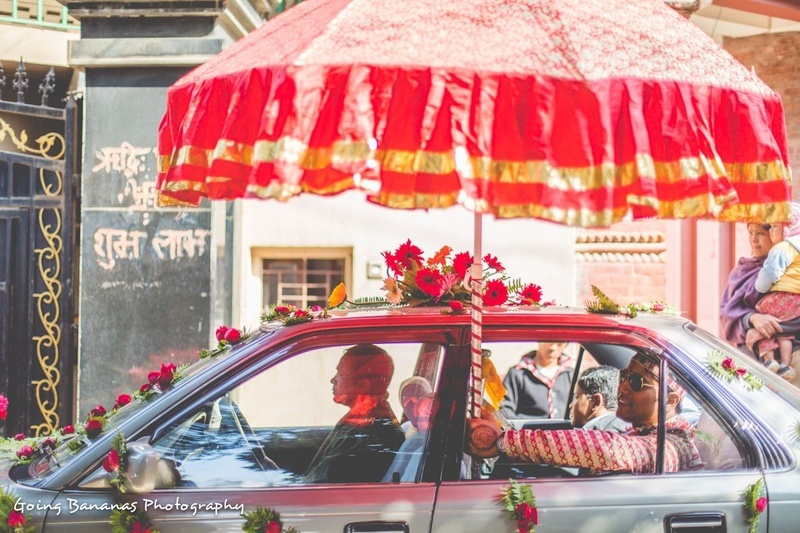 Much like the Indian Baraat, the Janti is a lively and dance-filled procession towards the venue. 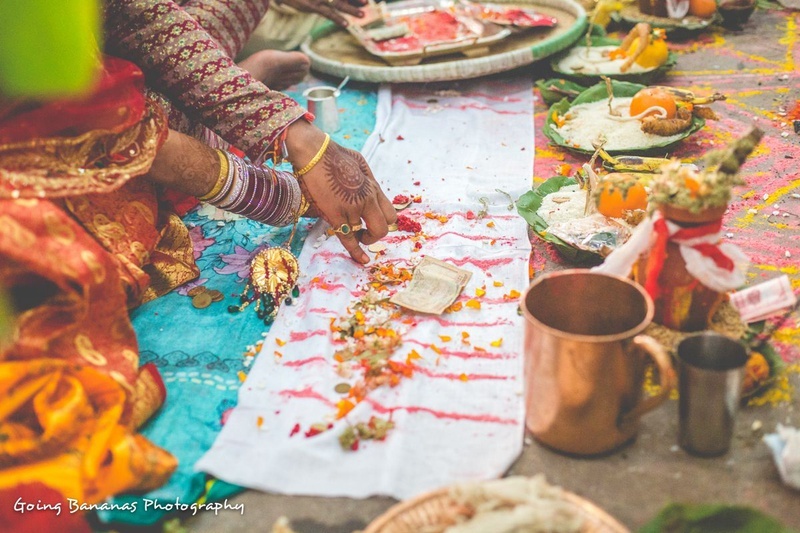 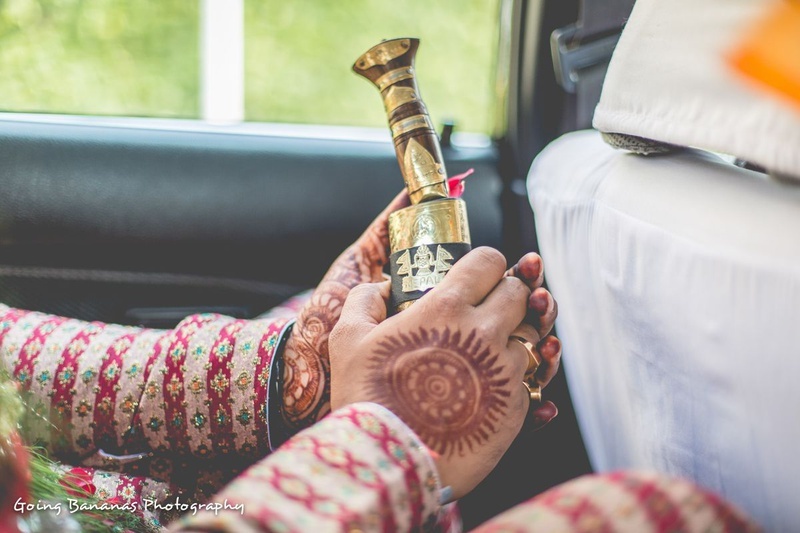 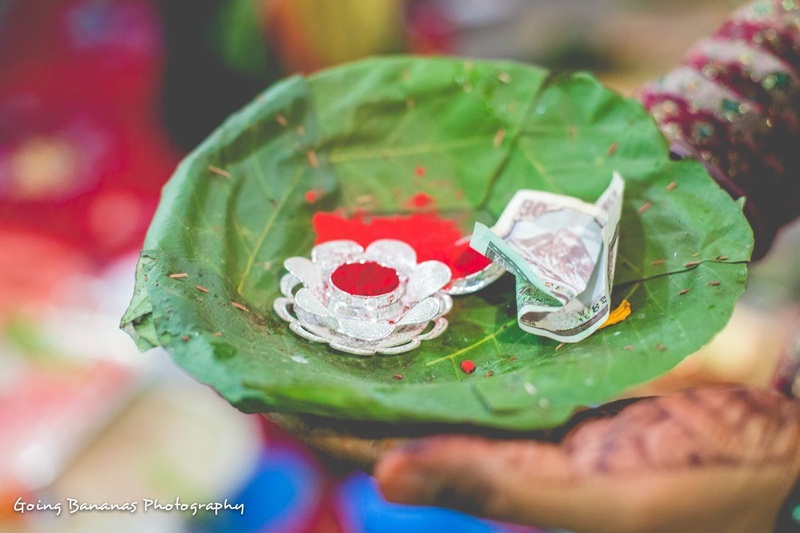 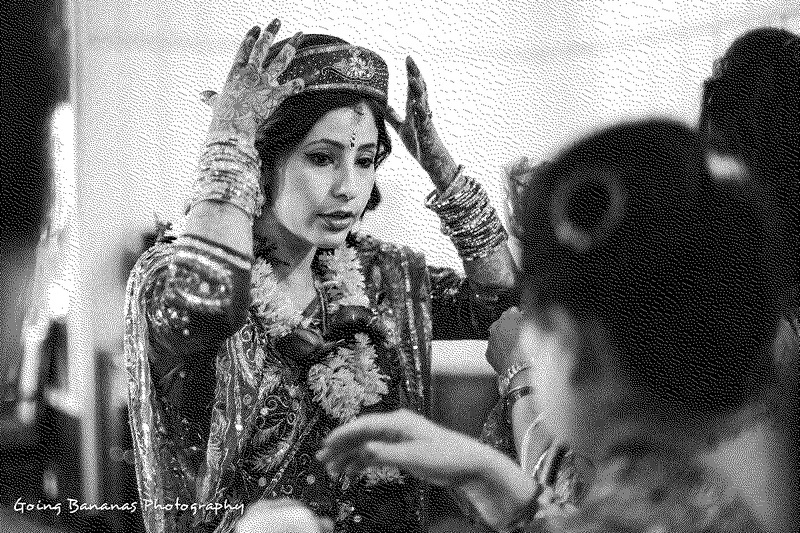 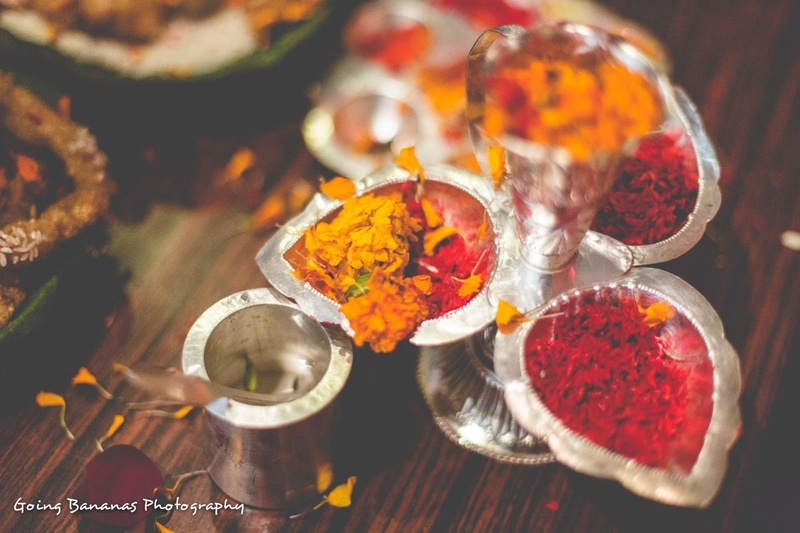 Once Ajitesh and his entourage arrived at Barsha’s house, her family walked around the groom three times and threw Lawa-akshat (popped and peeled rice) on everybody, symbolizing freshness and prosperity. 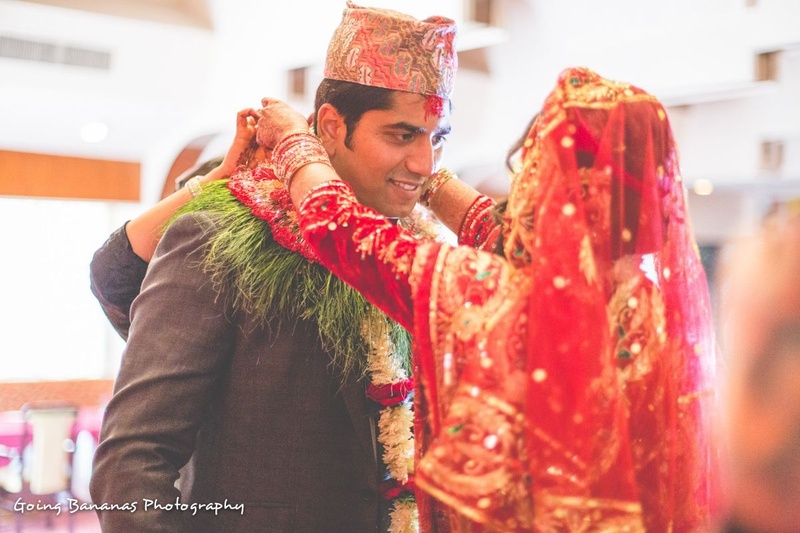 Ajitesh looked like an ideal Nepali groom in his Daura Suruwal. 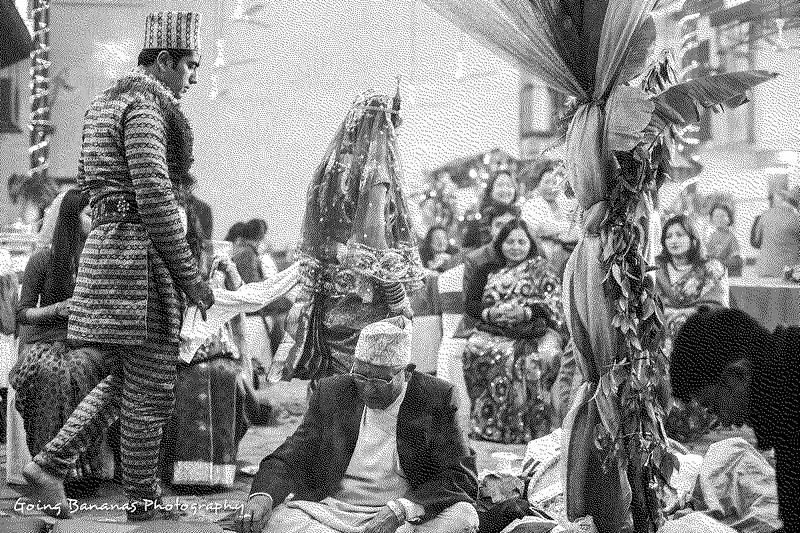 An outfit, complete with a topi, made out of Dhaka fabric that is brightly colored and woven with geometric designs, using a special metallic thread to add uniqueness to the attire. 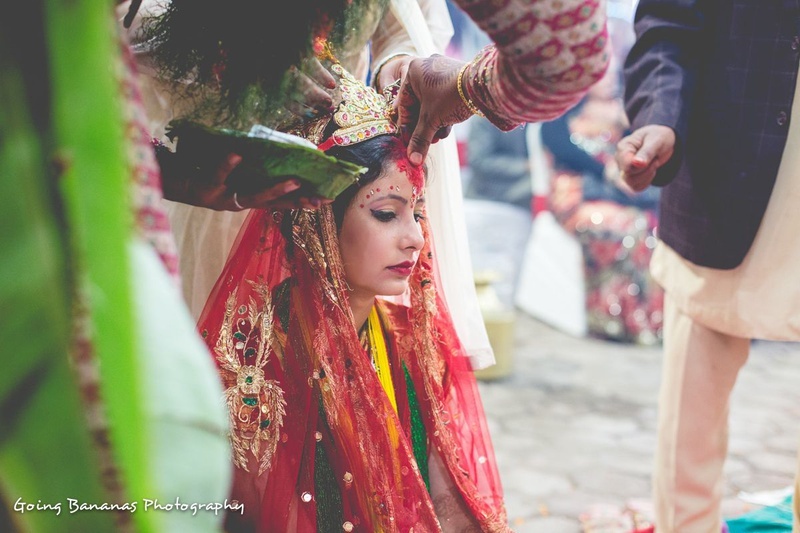 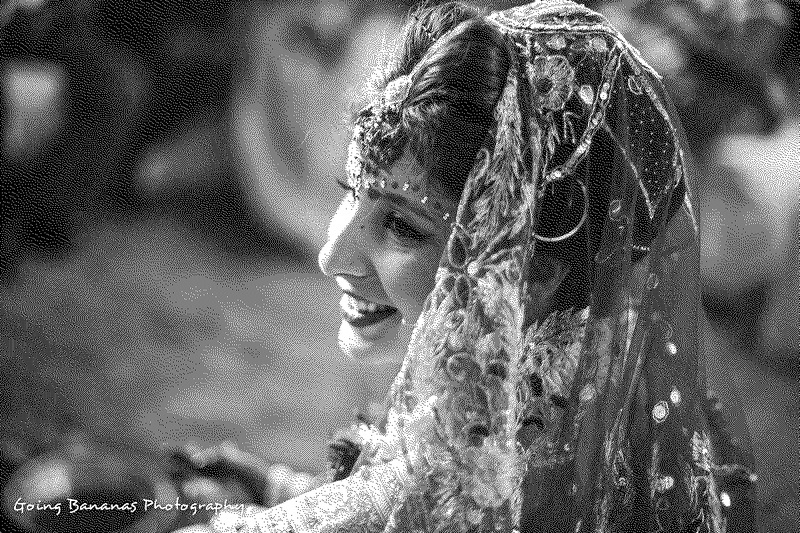 Barsha’s bridal ensemble was simple yet special. 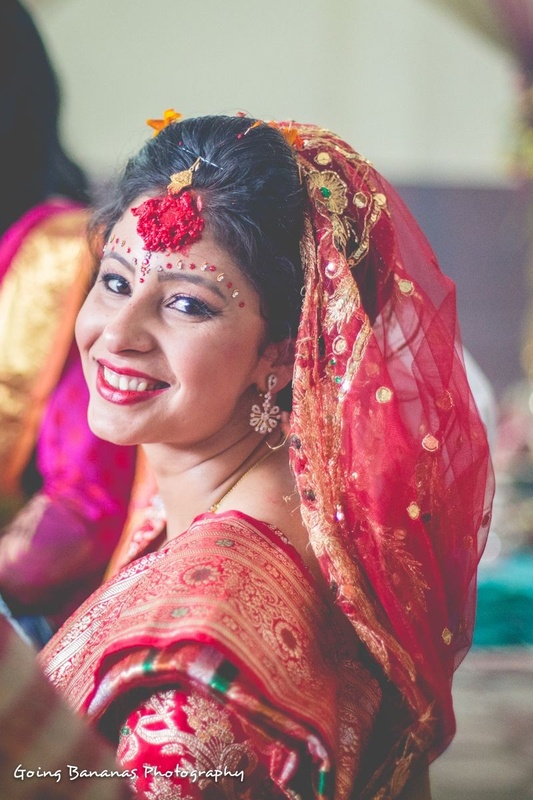 She wore a red dhakai silk bridal saree with gold woven motifs and accessorized her look with a set of matching bangles and dainty maangtikka. 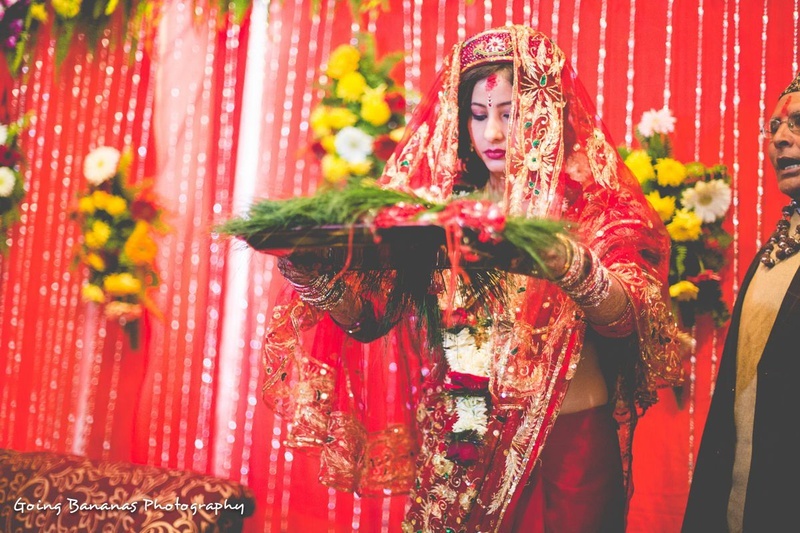 Her sheer red bridal dupatta that was beautifully embellished with thread work and mirrors completed her entire bridal look just perfectly. 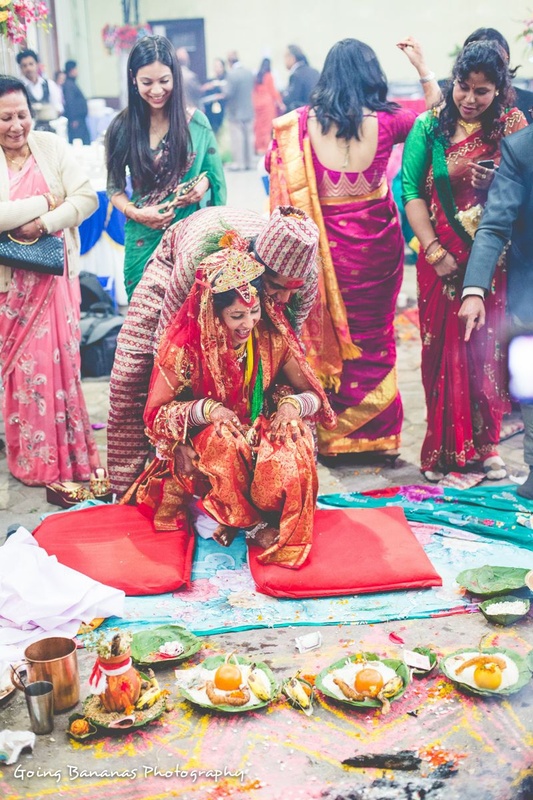 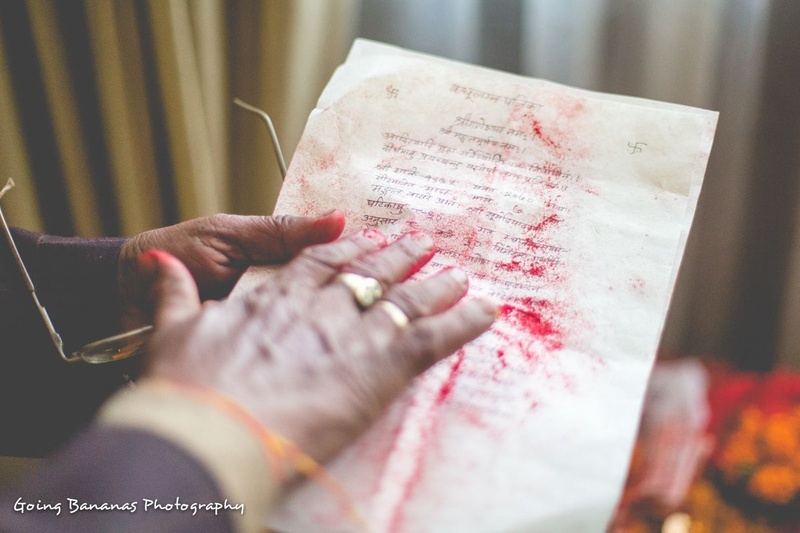 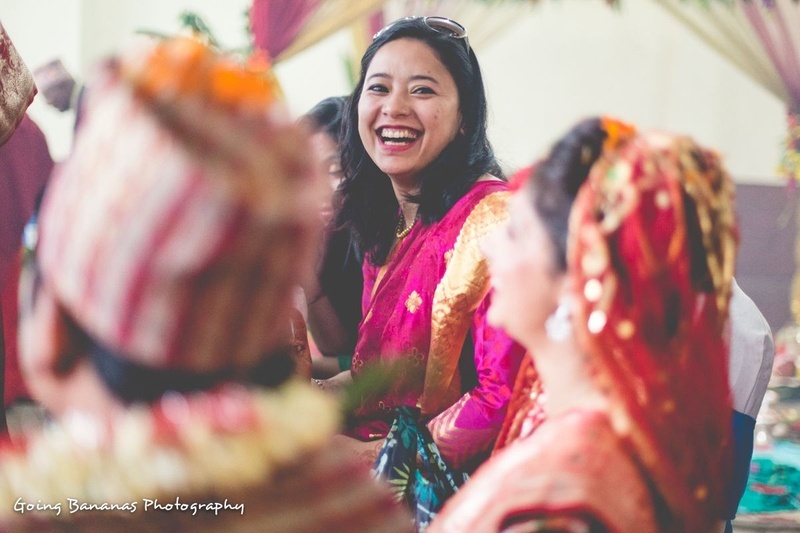 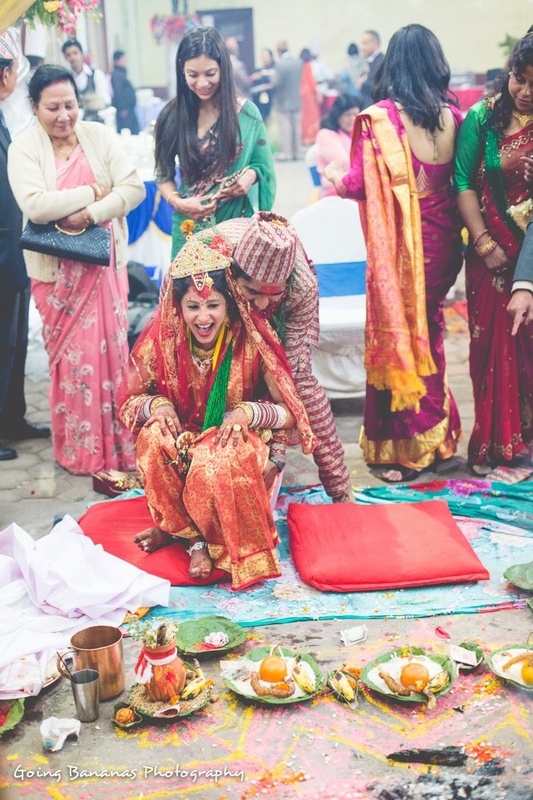 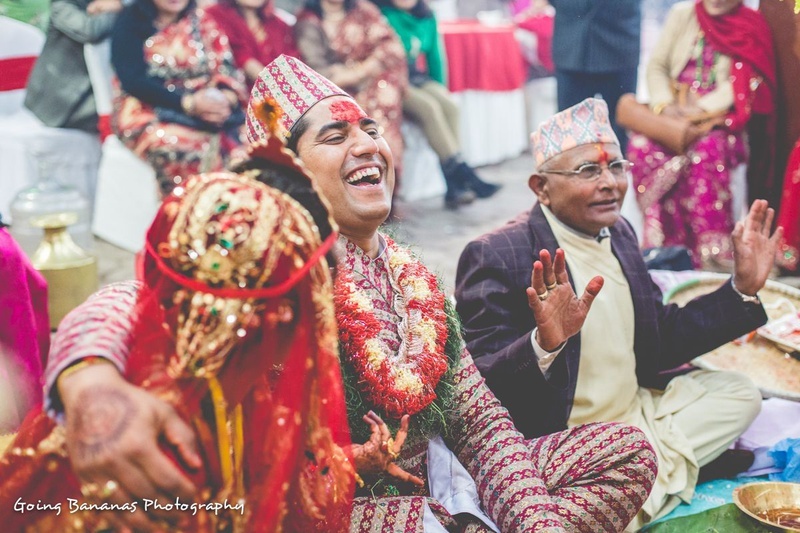 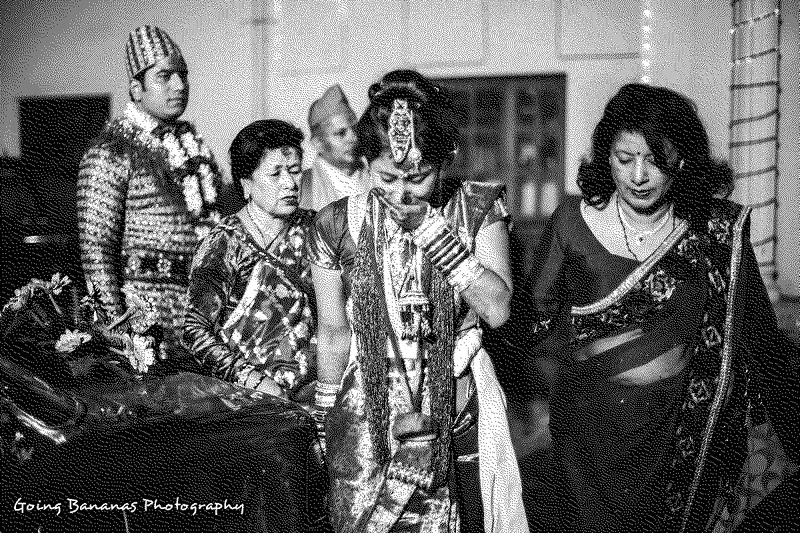 Together, Barsha and Ajitesh, completed every traditional Nepali wedding ritual in the presence of close friends and family. 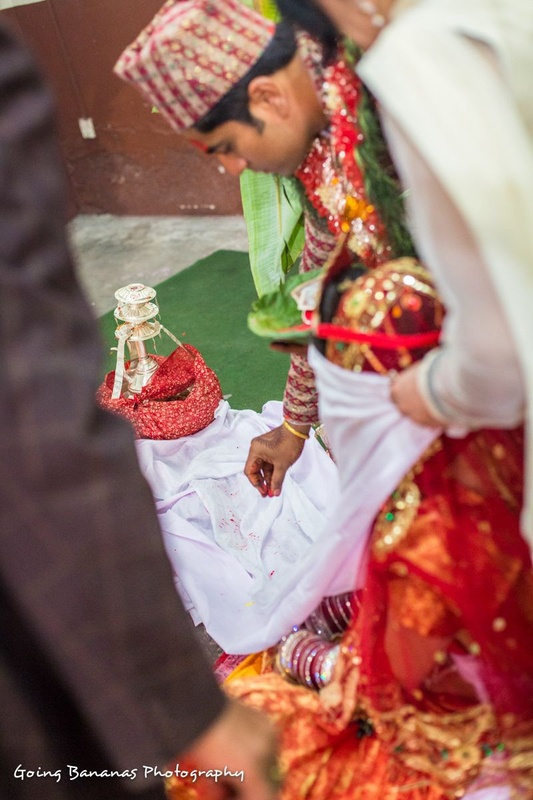 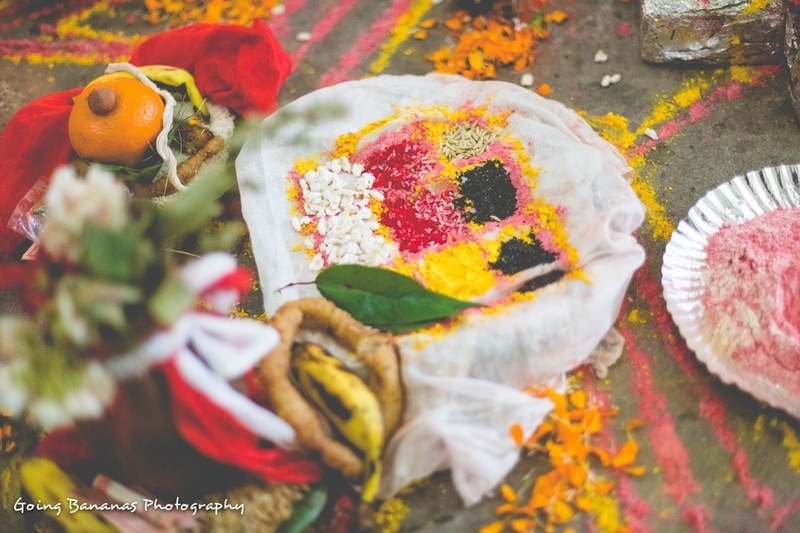 An interesting ritual witnessed at this marriage was the Sindhur Halne, where a long white cloth is tied around a statue of Vishnu and extended to cover the bride's face. 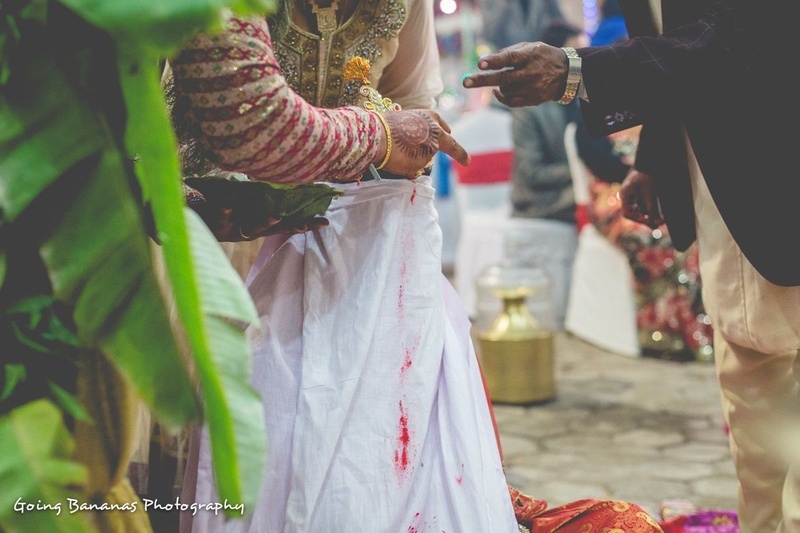 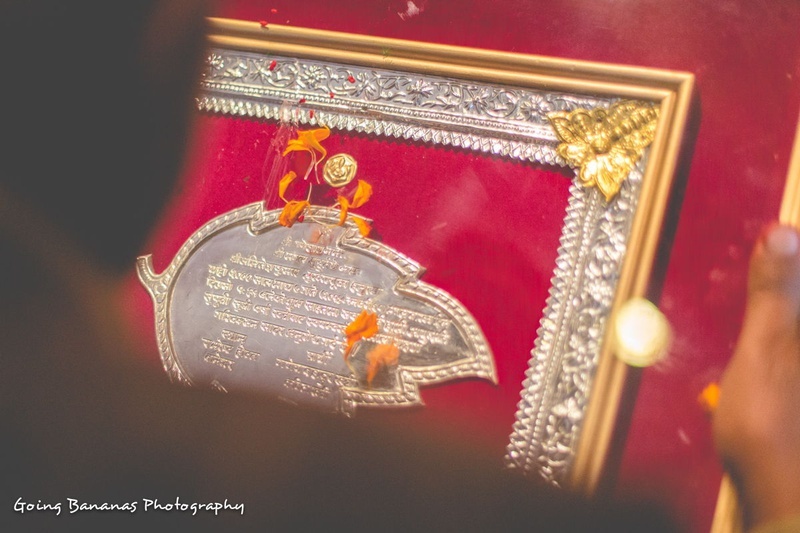 The sindoor is then applied from the statue with the white cloth to the bride's forhead, signifying acceptance of an eternal partner in life with god as their witness. 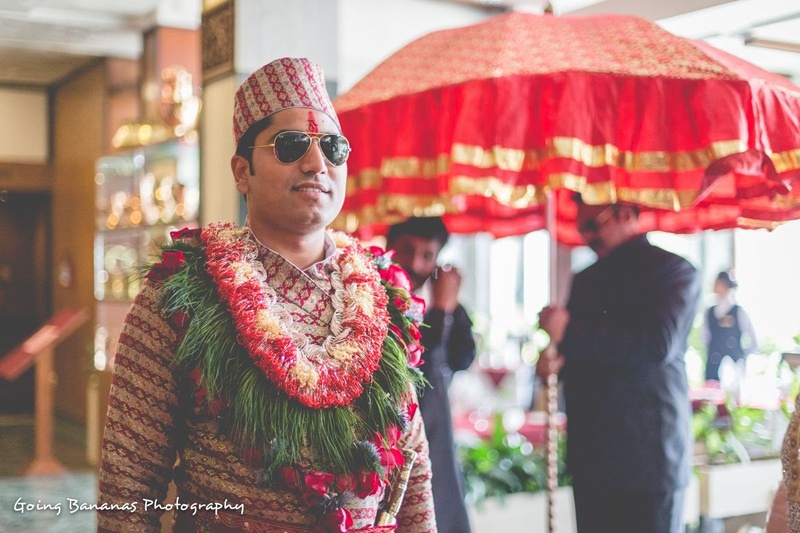 Every smile, every emotion, every ritual was aptly captured by the talented team at Going Bananas Photography. 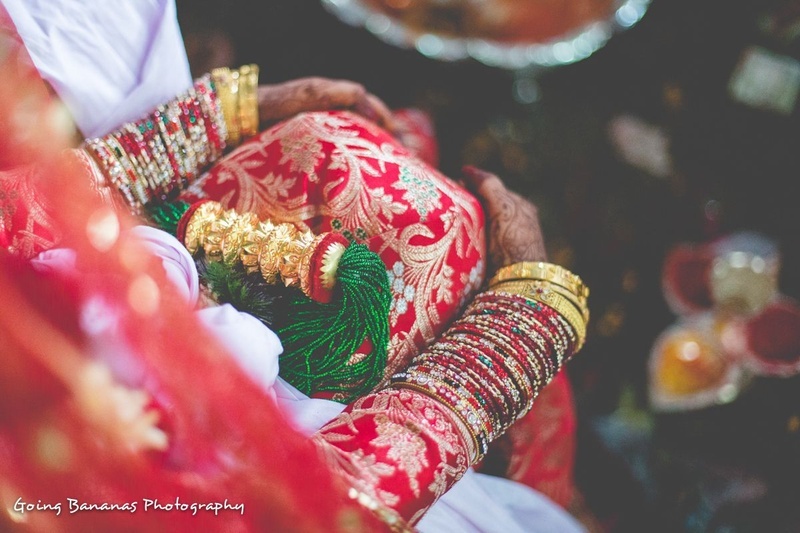 Their ability to tell a story with every click always leaves us mesmerized.